Whether you’re buying or selling a home with solar panels, be sure you know the answers to these five questions. Who makes the solar panels? As the solar industry continues to consolidate, there will be fewer solar manufacturers in five years than there are right now. Ask who manufactured the panels and make sure the company is still in business and has a good reputation. Warranties differ wildly from company to company. Find out what remains on the warranty and exactly what’ is covered: parts? service? labor? shipping? Is the solar system leased? 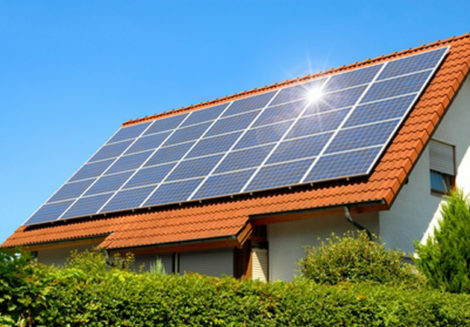 Many homeowners lease solar panels rather than purchase them. If it’s a lease, what are the terms of the lease? Is there a fixed rate or a variable rate? (Fixed is ideal.) It might be beneficial for the buyer or seller to convert the lease into a purchase at the time of sale — for a potential negotiating point. If not, find out how easy it is to transfer the existing lease to a new owner. Understand the age and the size of the system. Solar technology changes and evolves every year, so be aware that older systems don’t generate as much energy as newer systems and most systems become less effective as they age. How many kilowatt hours are produced annually? Ask to see the customer’s annual Net Energy Metering True-up statement, also called a NEM document. This special billing document will show you—and your prospective buyer—how much energy was produced by the home’s solar panels versus what was pulled from the electrical grid. With this statement you can begin to determine the energy value for the new buyer. Factor in differences in family size and energy needs to keep expectations realistic. Once you’ve gotten the answers to these questions, recommend a solar system inspection. This will assure the buyer that everything is working as it should. It’s an important protection for your buyer and ensures that there won’t be any surprises.